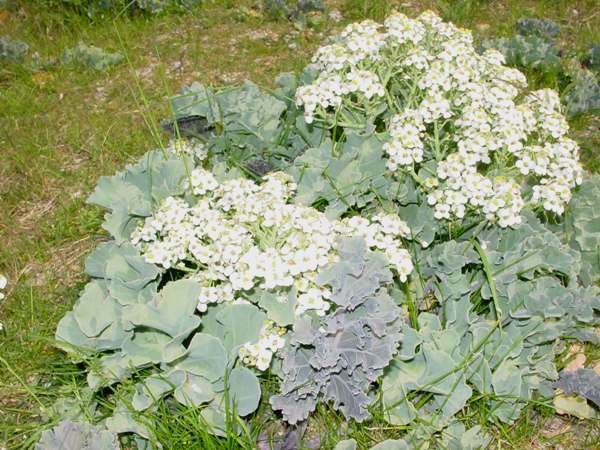 This coastal plant is becoming increasingly scarce, but is still found in parts of the UK and Ireland as well as on the coasts of many northern European countries. These perennial plants are very robust and form large domed clumps on the sand and shingle of beaches. 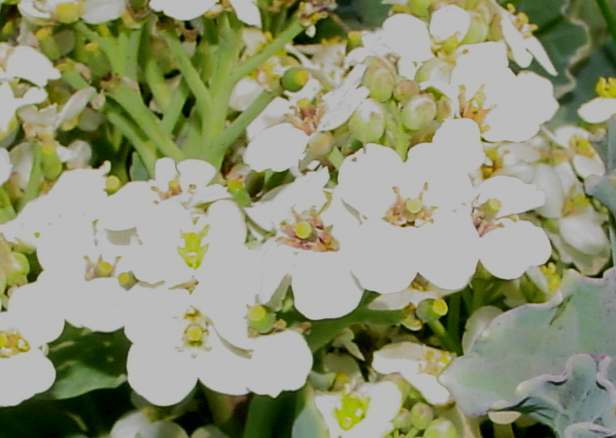 The flowers have four white petals and appear in clusters from June until August. 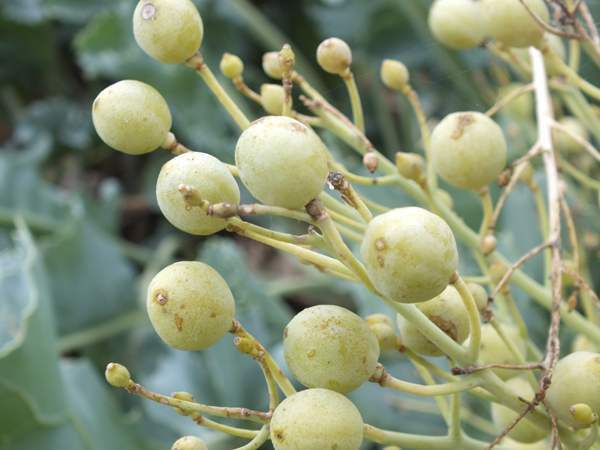 The seed pods are large and oval in shape with wavy margins. The plants shown on this page were photographed in North Wales at Cemaes Bay Nature Reserve, Anglesey, during August.